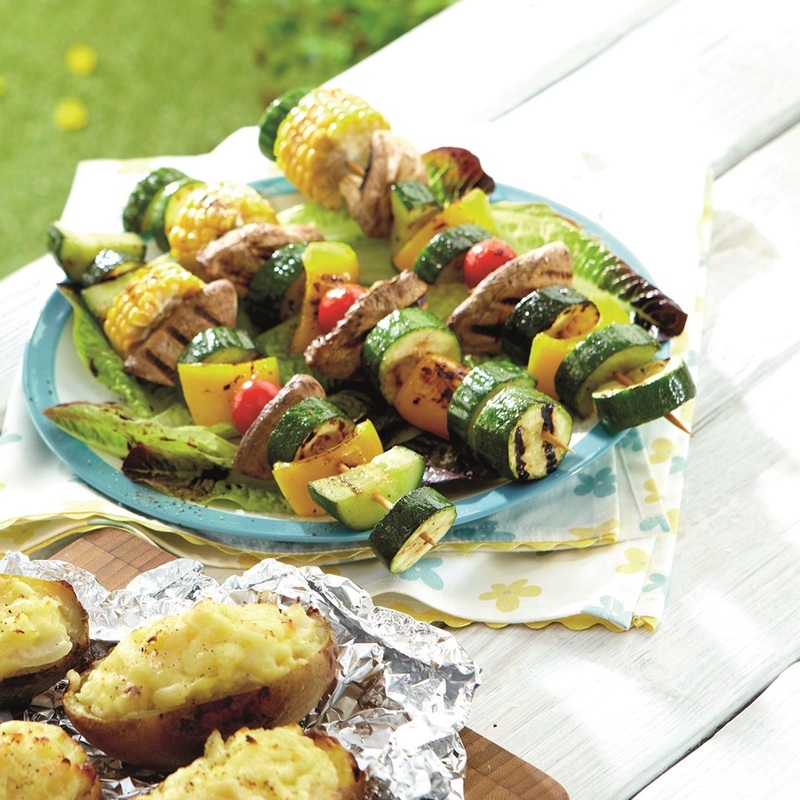 Every barbecue needs delicious side dishes, and these Grilled Balsamic Vegetable Skewers are perfect. 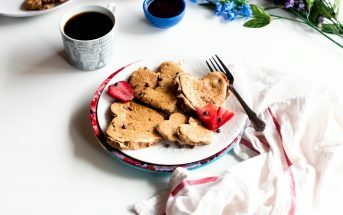 Lightly seasoned with salt, pepper, and a finishing drizzle of balsamic vinegar, they’re naturally vegan and top allergen-free. They’re also kid-friendly! Once all of the ingredients have been sliced and diced, kids can help in the assembly. Just ask them to thread the skewers in their favorite color and flavor combinations. Getting kids in on the action is a great way to encourage healthier eating habits. After all, if they helped make it, so it has to be good. 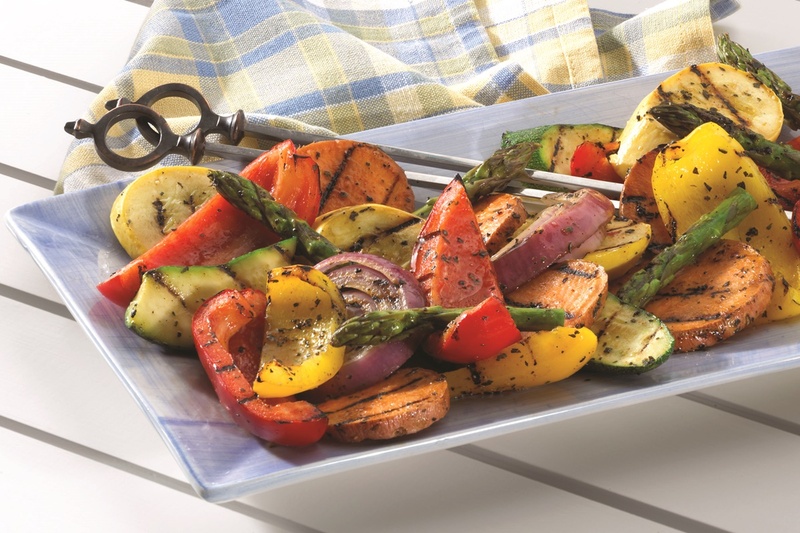 This Grilled Balsamic Vegetable Skewers recipe with photo was shared with us by Aldi in honor of their Action for Healthy Kids campaign. 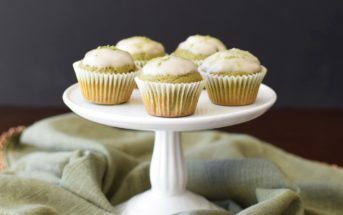 By ingredients, this recipe is dairy-free / non-dairy, egg-free, gluten-free, grain-free, nut-free, peanut-free, soy-free, vegan, plant-based, vegetarian, top food allergy-friendly, and paleo-friendly. Pierce the vegetables with the skewers. 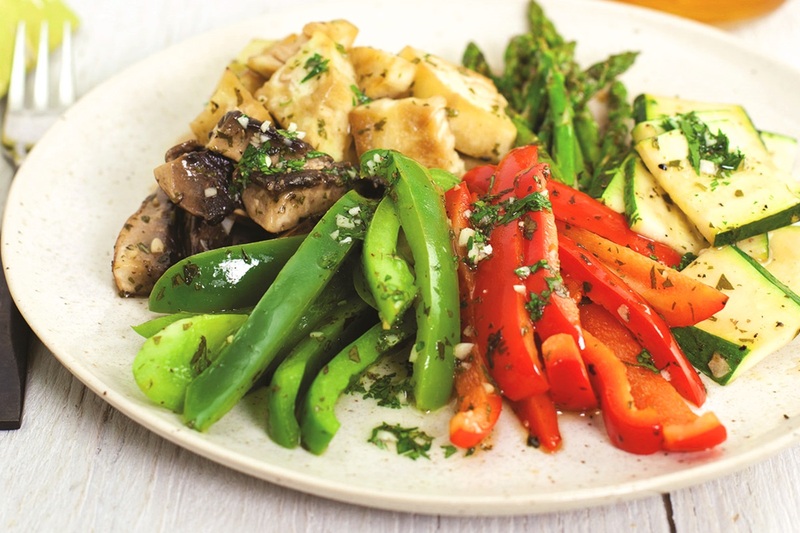 Evenly drizzle the oil and sprinkle the salt and pepper over the vegetables. 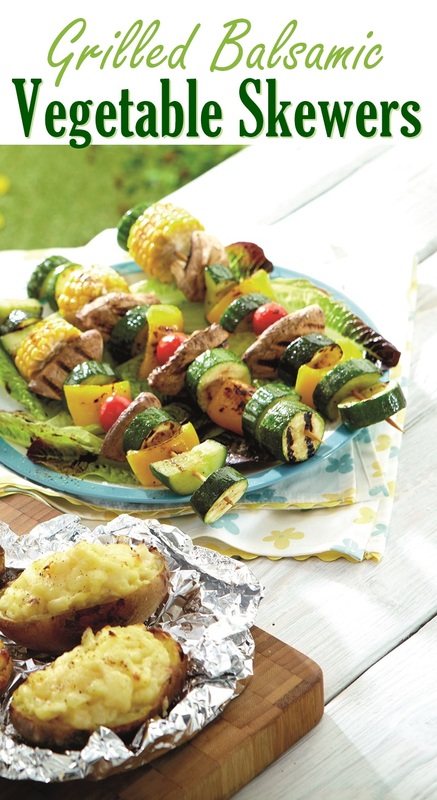 Place the vegetable skewers on your hot grill. 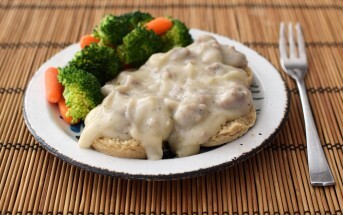 Cook, turning frequently, until the vegetables are lightly browned and tender, about 10 to 15 minutes. 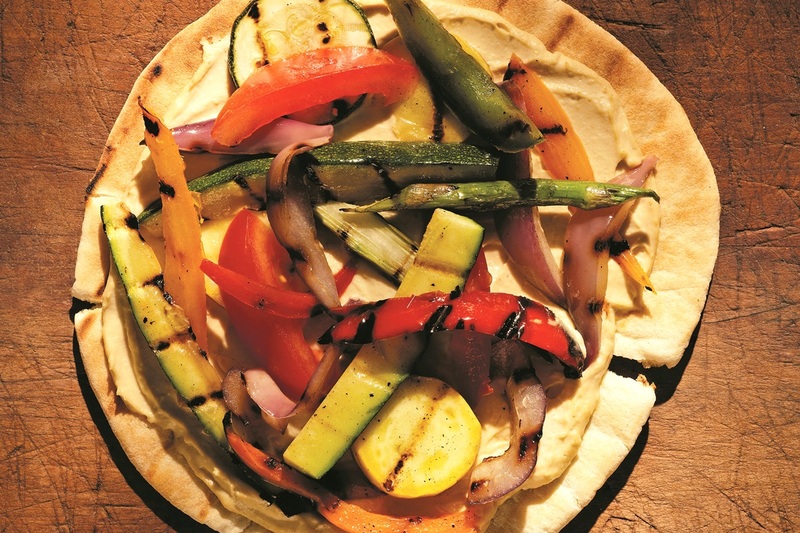 Remove the skewers from the heat and drizzle with the balsamic vinegar to serve.